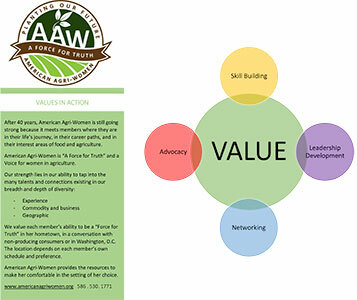 AAW members have been advocating for agriculture since 1974. 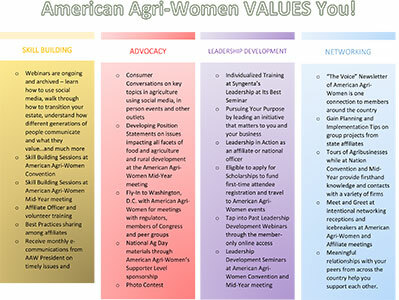 Join our diverse group of women from across the country who are committed to advocating for agriculture. Our members are farmers, ranchers, producers, other agriculture business professionals, educators, consumers, students, researchers, and many others — how about you?